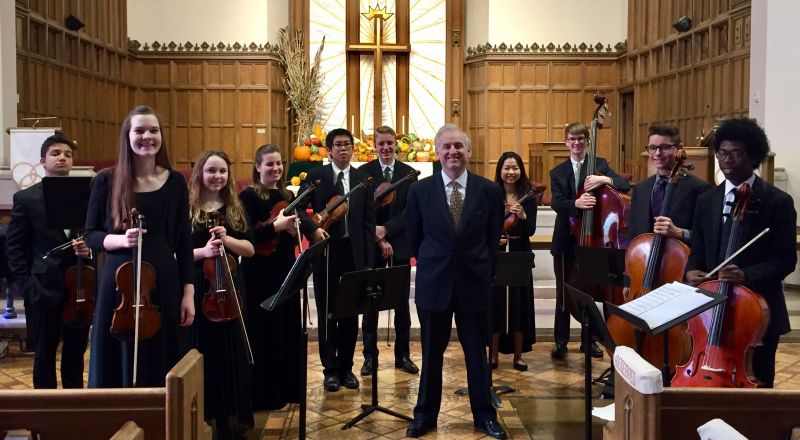 The Academy is pictured here on November 20, 2016 at Gary United Methodist Church, where we are Ensemble-in-Residence. The string chamber orchestra comprises advanced high school students who play to a very high standard under the direction of conductor Drostan Hall. Watch brilliant videos of Amelia here. Video of Amelia Piscitelli performing Svendsen’s Romance in her professional debut with Camerata Chicago in October 2016. 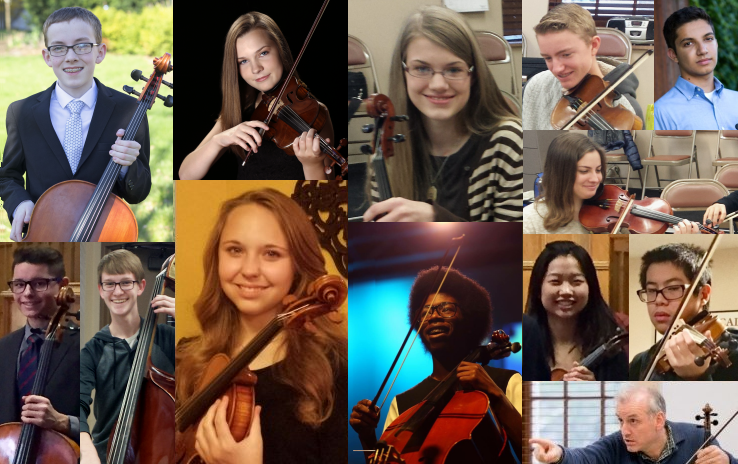 From left to right: Joe Brackmann (cello), Ellen Maloney (violin), Lily Smith (viola) Joe Williamson (violin), Ashwin Moses(violin), Madeline Abel (violin), Luca Warren (cello), Cameron Fuller (double bass) Amelia Piscitelli (violin), Joshua Leak (principal cello), Allison Chang (principal viola), Kevin Shi (violin). Our December 10 Academy Orchestra broadcast on WFMT Introductions was wonderful to hear. Click here for the podcast.